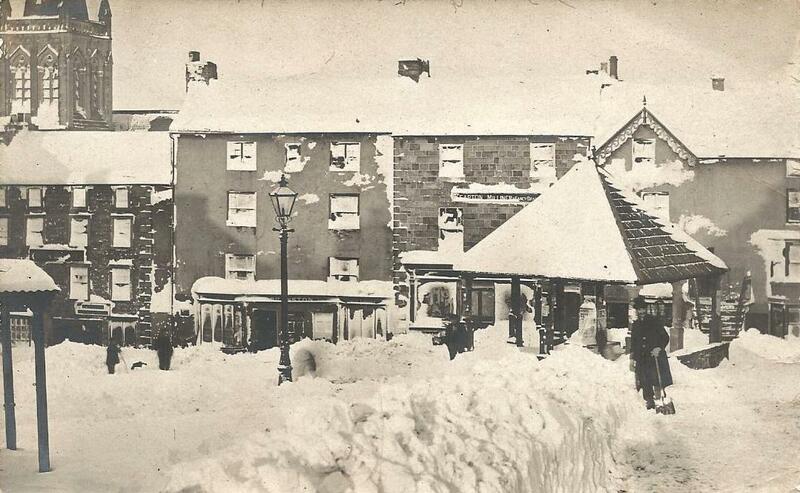 Story No 33: Winter 130 years ago and Alston entertainment! Winter and how we entertained outselves! Winter – it’s here again, with talk of the hardest one for years. Well, we’ll see. But will it be as bad as the winters of over a hundred years ago? Without central heating, house insulation, double-glazing, or modern materials for warm clothes and bedding, people took the bitterly cold temperatures in their stride. In fact, more recently, how many of us remember waking up to draw the curtains and see icy leaf patterns on the bedroom window? It just made us get dressed quicker and get downstairs to the warmth of the kitchen and a bowl of porridge. More signs of winter are; evening classes, the clocks changing, Bonfire Nights (although not as many as a few years ago), and Ted’s musical events at the Town Hall. The stage will be beautifully fitted up for the occasion. The room will be perfumed by Rimmel’s Apparatus. Admission – First Class, 2s. ; Second, 1s. ; Third, 6d. ; Family tickets admitting Five to first class, 8s. Tickets to be had at the usual places in the town. Doors open at 7.30. Wonders commence at 8. Carriages at 10. As given by him with the most brilliant success in London, and nearly all the principal cities of the world, before the most fashionable audiences ever assembled together. See patrons names. Sole Proprietor…………………….Professor Cristo from Quebec. This sounds fantastic! Bring him back for an encore! This man had toured the world to find out these secrets and had performed them for the rich and famous, and here he was in Alston! Unfortunately the show was not reviewed in the Herald, so we will never know what acts or tricks were performed or how well they were received. And what was Rimmel’s Apparatus anyway? Then, when Leadgate Cricket Club (!!!) held its annual dinner, the guests from Alston had to walk the mile and a half to the village through twelve inches of hard, frozen snow. The guests must have been extremely keen, and tough. That Leadgate should have its own Cricket Club sounds incredible, but it also had its own library, its own Lit. & Phil. Society and held its own Flower Show! A wider picture was presented in the newspaper on January 9th, when on Alston Moor, “On New Year’s Day the storm raged with great violence, the roads again being blocked”, while down on the River Tyne west of Scotswood, the river was frozen over, and then when the thaw came the large, fast flowing floes of ice were a danger to commercial shipping lower down. Back in Alston, entertainment by local people was reported. “At an early hour on the morning of Christmas Day, the Wesleyan Methodist and Primitive Methodist choirs, the band of the 6th Cumberland Rifle Volunteers and a troupe of local darkies went their usual rounds amongst their respective admirers. Christmas Day passed over with becoming quiet and decorum, a special full choral service was held at the Parish Church.” Quite a selection - did they ever team up for a joint performance, or was there confusion when their paths crossed. And I never knew that Alston had a community of “darkies” in those days, but then Alston has always been a hospitable place, long may it last. Merry Christmas one and all and a Happy New Year!